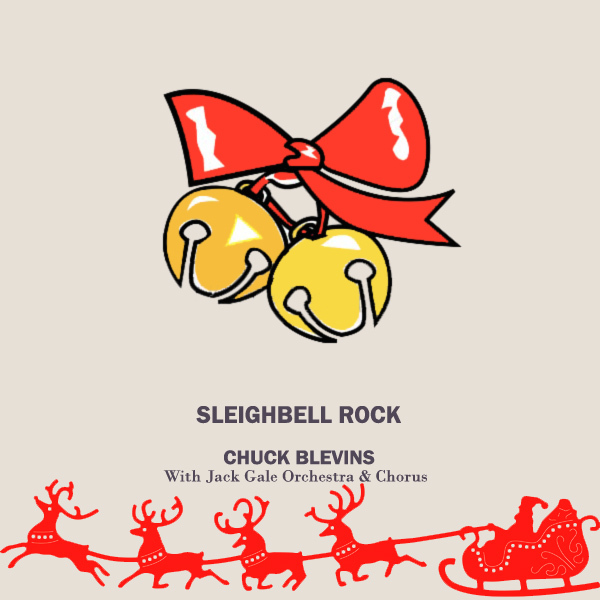 On the original single cover artwork for Sleighbell Rock by Chuck Blevins we find some bells, and the silhouette of Santa's sleigh being pulled along by the reindeer - very seasonal! On the remix we find a babe sitting on a sleigh with her bells on show. The sleigh seems a little too small to carry many presents, then again with her sitting on it, perhaps you don't need anything else to unwrap? Holiday!